When I was pregnant with my first baby I was ecstatic. All the cute baby clothes, tiny diapers, fun toys, and best of all baby snuggles. We all know that along with those cute babies comes STUFF! One of my main priorities I had discussed with my husband before even getting pregnant, was that we would do our research about baby products and buy the most practical so we didn’t have to keep buying more. 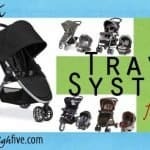 I know we’ve all been there one time or another and have way too many strollers, car seats, sets of baby carriers, and styles of bottles from trying to find the perfect one for OUR needs. As we’re a military family and will be moving around most of our lives, less is more!! With a car seat being one of our first purchases, we decided to go with something convertible that we could use for a little while. 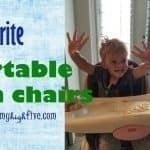 Here’s a look at the carseats we came across that we felt give you the overall best value for the money. If you’re in the market for a convertible car seat, one of the first you should look at is the Britax Marathon. I love it! 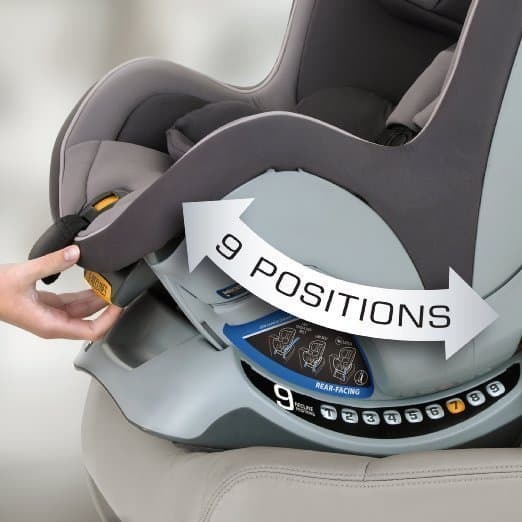 This car seat has the new click tight technology for correct and safe installation. It makes for a super easy install that anyone can do, even the babysitter or grandma. Not only is it sturdy and luxurious, it looks great and comes in six different colors to fit your style. For safety and adaptability, the Britax Marathon Click Tight has a 14-position harness/headrest and a 2 position buckle. to fit your growing little one. Speaking of your growing little one, the weight range on this gem is 5-65 pounds for forward facing and up to 40 pounds for rear facing. So, it should last you a long time. Plus it has a removable pillow. The seat can be rear facing or front facing and has seven recline positions with a level indicator. Overall this is a great all-in-one for around $265. Baby will feel like a king or queen as they ride in style! There is a bit of a learning curve with all the positioning. It’s a bit difficult to get out once installed. The Diono Radian RXT is a CLOSE second. The best part about this car seat is its slender frame. It’s a great option for cars and smaller SUVs, as it can fit three across. This is not even close to doable with many of the other car seats on the market. Another selling point for me is that when you are traveling this seat has the available option to purchase carry straps which allow it to become a backpack! This does make it much easier to get around with your hands free for everything else you need when traveling with young ones. The weight range on this beauty is 5-120 (heck that is the size of a small adult!). It can be rear facing or forward facing and even has booster capability. With its simple two angle reclining positions and latch system, it’s not only safe, it fits most cars and is easy to install. Like the Marathon, the Radian has a 12-position adjustable headrest. Its average price is $260, making it a tad cheaper than the Marathon above. It comes in fours different colors. If sleek and slender is your goal, this one is for you! 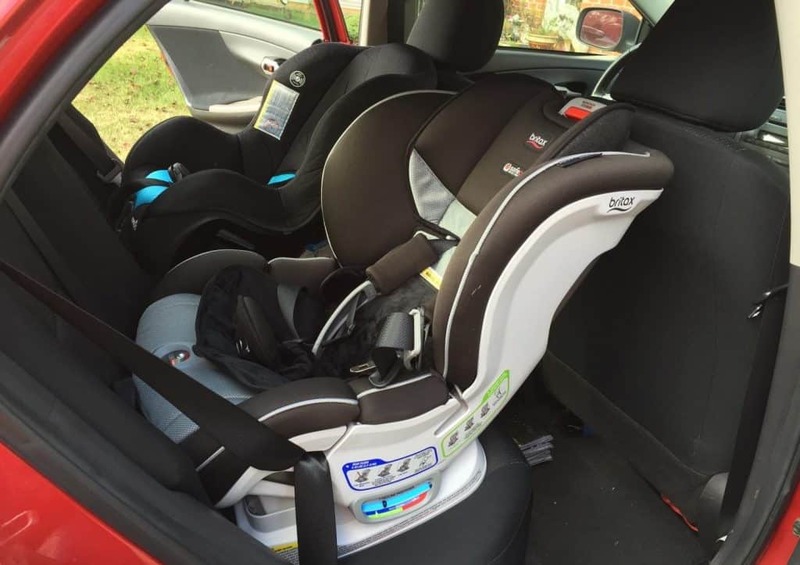 The Chicco Nextfit falls in the category of Cadillacs! It is super fancy and comfortable and is pretty narrow so it can fit into those tight car spaces. It also has the new click tight technology to minimize incorrect installation and maximize safety! Weight range on this fancy seat is 5-65lbs. It can be rear or forward facing and has nine, reclining positions which is more than any other seat reviewed! The Nextfit has six headrest heights. It comes in five different colors. This is the most expensive of the car seats reviewed, coming in at approximately $300, but many will say it is well worth the money! If money is not an issue and comfort, style, and safety are a priority, then choose this car seat! The Graco Milestone is one of my favorites if you only want to buy one car seat for your child! It comes with the latch system for maximum safety and easy installation. The weight range on this practical seat is 5-100 lbs! Like the Radian, this seat can be rear or forward facing and also serves as a booster. It comes with a four position recline seat. Plus, it has an attachable cup holder! It comes in six different colors and costs around $210. 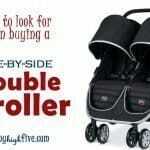 This is such a wonderful, affordable option for your precious cargo! This is the most affordable car seat of the bunch, and it does not compromise safety one bit! 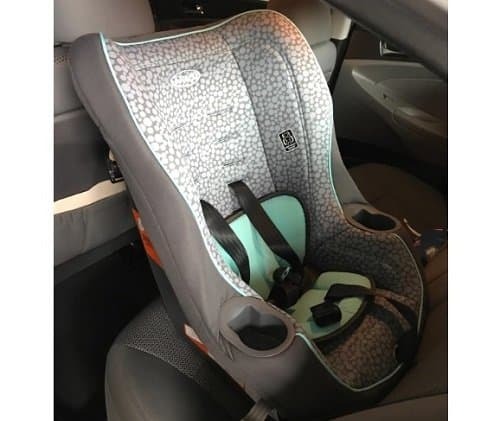 It is a very nice car seat and a lighter option, which is nice if you plan on traveling! The My Ride 65 also uses the latch system just like the Radian and Milestone! The weight range of the My Ride 65 is 5-65lbs, and it can be forward or rear facing. This seat weighs in at 15.8 pounds, for the lightest seat reviewed! Dimensions are 21’W X 26” H X 27” D which makes this the deepest seat of the group. Plus is it comes with double built-in cup holder action! It comes in eight different colors! The price on this affordable seat is approximately $115. So, if light and affordable are your game, then this is your winner! 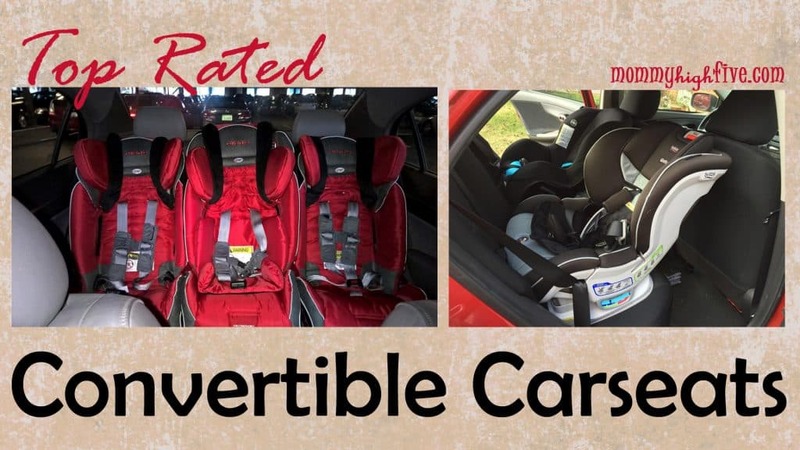 Choosing a convertible car seat for your child can help to minimize having to purchase 2-4 (or however many your heart desires) car seats for your child during their early years. Depending on your priorities, each one has different high points. Price, the fit in your specific vehicle, and any specific extras are the main points to consider in your search. Weight can be a factor for those who will travel with or switch vehicles the seat is installed in. 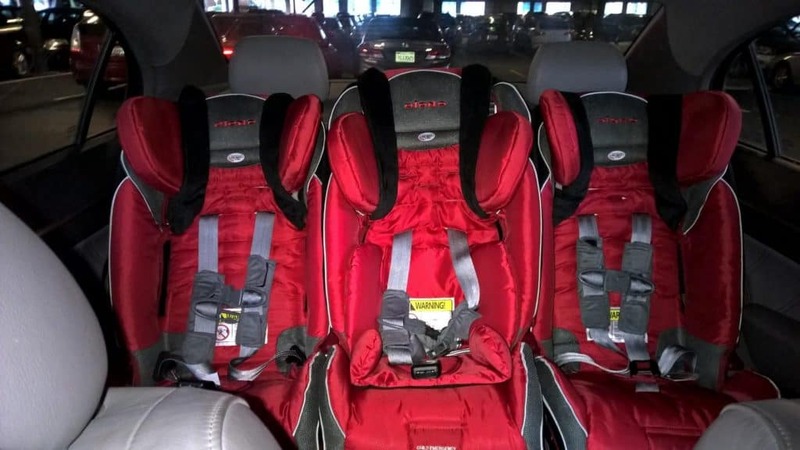 The best part is they all have excellent safety ratings, which means you can’t go wrong with any one of these seats to protect your precious cargo! 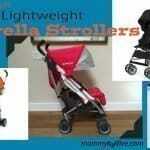 You can also get a travel system stroller if you want some options. Happy car seat shopping!